Is It Worth Belonging to a Medical Scheme in South Africa? 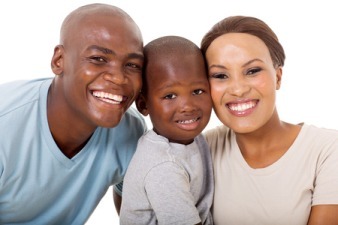 In South Africa, belonging to a medical scheme means you have access to private medical care. And that means you are more likely to survive the ordeal. We live in a country where belonging to a medical scheme, or at least private health care cover, is a necessity. And that’s just because our Government spends its money elsewhere and not on quality health care for its people. The second most important advantage is that it protects you financially from having to pay these massive, often unexpected, medical costs. Belonging to a medical scheme is by no means cheap, and for many South Africans, it can be tempting not to have it. Indeed, young, healthy people feel they can use the money elsewhere. They don’t stop to think of what the outcome will be when they are seriously injured and land up in a hospital for months. A medical emergency can cripple you financially – not for a few months or even a year, but for your entire life. If you’re a breadwinner with your own business, perhaps you won’t be earning an income either. If you have medical aid, your life can be more carefree. You won’t have to continuously worry about where the money is going to come from for an unexpected medical emergency. In South Africa it is safe to say that belonging to a medical scheme isn’t a luxury, it is a necessity. A couple of days in one of South Africa’s defunct public hospitals will convince you of this. Even if you do have medical aid, you’re not quite home and dry yet. You have to seriously understand what your cover is. Whether you like it or not, you have to understand that irritating small print. The reason for this is that there are all those exclusions, waiting periods, limits and co-payments – without knowing about them you could still find yourself paying out of your pocket to an extent. In South Africa and the world over, we see an increase in dread diseases such as diabetes, cancer, cardiovascular disease and dementia. Treatment for these lifestyle diseases is becoming unattainable. It is when you discover someone in your family has one of these dread diseases that you look at medical aid in a different light – you just wish you had gone without other things rather and put your money into a good medical plan. These diseases are no longer part of ageing, and we are seeing more and more young people with these illnesses. Getting a medical aid plan when you are young has benefits too in that you will contribute less in premiums than had you waited till you were much older. Age used to be a consideration for medical aid, but that is no longer the case. More people realise that being young doesn’t make you immune to illness – on the contrary. Life happens and circumstances change and no matter how old you are, in a country like South Africa you need medical aid. When looking at medical aid look at things like chronic care, day to day savings and hospitalisation costs. Realistically, if you are in good health and you have no children, a hospital option can be a wise move. Whatever plan you opt for, just understand it well to avoid being taken for a ride.